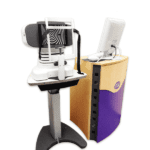 The WaveLight Topolyzer VARIO integrates non-contact topography, keratometry, and pupillometry in a single device. 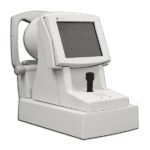 Bausch & Lomb Orbscan IIz Topographer is a fully integrated multi-dimensional diagnostic system that elevates diagnostics beyond mere topography. 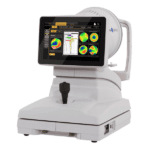 Unlike current topography systems which scan the surface of the eye at standard points, the orbscan II acquires over 9,000 data points in 1.5 seconds to meticulously map the entire corneal surface (11 mm), and analyze elevation and curvature measurements on both the anterior and posterior surfaces of the cornea. 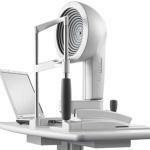 Orbscan II by ORBTEK (Bausch and Lomb) sets a new standard for precision measurement of the anterior segment of the eye. 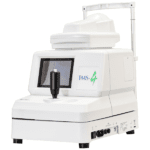 Utilizing a scanning slit measurement system, the instrument provides the clinician with important diagnostic information about the cornea, iris, and lens. 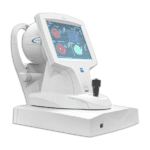 The state of the art Orbscan II is one of the most technologically advanced corneal topography systems available. 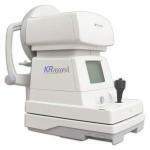 S4OPTIK MODI2 corneal topographer is engineered with advanced technology for corneal topography. The ergonomic design, features, superior reliability and ease of use.make MODI2 the first choice in diagnostic and contact lens applications. 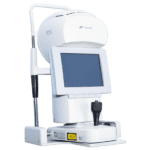 The Tomey TMS4 offers better resolution, higher accuracy and easy operation. 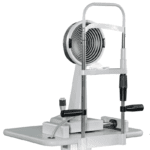 Its patented light cones use twenty five or thirty one rings providing high resolution. 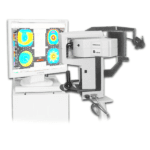 The laser alignment system provides high accuracy and repeatability. The small cone design eliminates nose and brow shadow and provides extensive corneal coverage. The low light level of the rings promotes patient comfort. 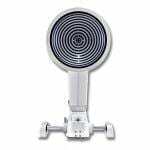 The Topcon CA-200 Corneal Analyzer is an easy-to-use, comprehensive corneal topography solution allowing for the complete evaluation of the anterior corneal surface. 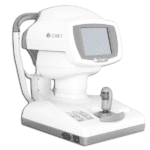 In addition to elevation mapping of the corneal surface, the CA-200 provides robust software features, allowing for a total analysis of the patient’s corneal surface. 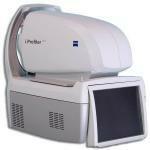 The tri-functional KR-8000PA Auto Refractor Keratometer Topographer combines an auto-refractor, an auto-keratometer, and a computerized color corneal mapping system all in a single, compact unit. This enables the instrument to provide three times the diagnostic capabilities in one-third the space, at a fraction of the cost of the individual instruments. This Refurbished Topcon KR7000P provides 3 times the diagnostics in 1/3 the space all at a fraction of the cost of individual instruments. 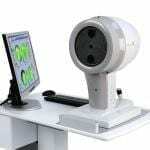 Corneal Wavefront Analysis takes corneal topography to a new dimension. 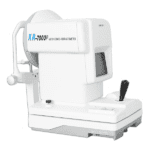 Using ray tracing technology, the Atlas displays higher-order corneal aberrations, providing valuable insight for patient education and treatment planning. 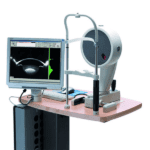 Educate patients about higher-order aberrations and simulate visual acuity. 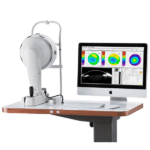 The iProfiler plus is the 4-in-1 compact system with ocular wavefront aberrometer, autorefractometer, ATLAS corneal topographer and keratometer. 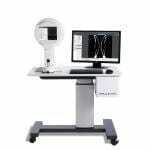 The fully automated measurement procedure, with easy-to-use touch screen control, enables all measurements of both eyes in approximately 60 seconds. The eye’s refractive power distribution is analysed and represented across the entire pupil aperture.